In life, we face a number of difficult situations. Sometimes, they are more than we can handle and we feel like giving up eventually. We continually feel pain and want this suffering to go away. 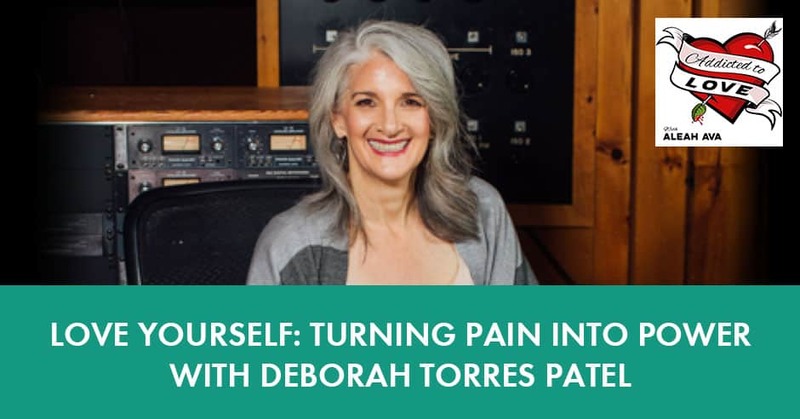 Voice coach and inspirational speaker Deborah Torres Patel is all too familiar with these pains. 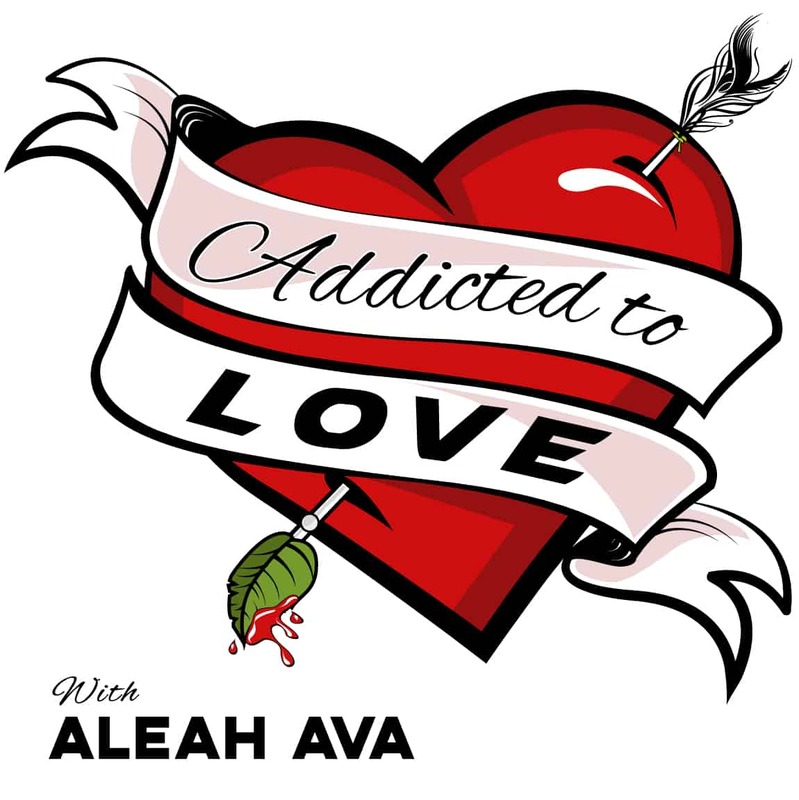 Sharing her story of suffering, love, and loss, she inspires people to feel more empowered. Going from an abusive relationship to the next and feeling lost in her career, she ended up giving up everything. In the midst of it all, she gained back confidence by committing first and foremost to herself. Deborah empowers us by presenting the power of self-love above all else, because in order to find that real and healthy relationship with other people, you must learn how to love yourself first. We have a very special guest, Deborah Torres Patel. Deborah started singing professionally at four years old. During her early show business career, she performed for millions on radio, animated film, TV, Broadway and on international live concert stages with celebrities like Whitney Houston and Michael Jackson. After a life-changing decision to leave the entertainment industry, Deborah began teaching entrepreneurs and executives influential voice presentation and public speaking skills. She is the secret weapon, coach and mentor behind many of the world’s bestselling authors, experts and leaders of Fortune 500 companies. Deborah is the first and only woman to be honored with the Asia Professional Speakers Hall of Fame Lifetime Achievement Award. Deborah demystifies how we find and express our voices in the world. From a fear of public speaking to a lack of confidence or influence, she empowers us to step into leadership, earn more money, enjoy more meaningful relationships and give back to the world. Her clients in 80 countries attest to the fact that her Million Dollar Voice formula equals both power and freedom. Welcome, Deborah. I am so happy to have you on our show. Thanks for having me, Aleah. I am so psyched to interview you. I’m especially excited because this show is all about empowerment, creating not only a love life but overall a life that we love. All of that, under the special consideration of that being able to thrive in life, might be more challenging for those of us who had difficult childhood experiences. In the last episode, I spoke about how the early absence of love or other traumatic childhood experiences can create many roadblocks to a truly fulfilling life on many levels. I wanted you to come on the show and share your story so that my audience can see a real-life example of a very powerful woman who was able to turn things around. Can we start with you sharing a little bit about your childhood and the circumstances you grew up in? My parents were both very lovely people. I’m a parent now myself, so I have a lot more understanding of what it might have been like for my parents. I definitely know now that we all can only do the best that we can, given the knowledge and understanding that we have. In my case, on the surface, I looked like a very happy child but in reality, I had a very troubled and uncertain childhood. Behind closed doors, my very well-meaning father was a volatile alcoholic. He had a big heart of gold when he was sober, but when he was drunk, he often scared my mom and me. I won’t go into the details of the physical, mental and verbal abuse. When he wasn’t abusive, he could be emotional, teary, apologetic, and sentimental. That made me always on edge, not knowing what state of mind he would be in at any given moment. I felt unsafe growing up. My parents both loved me a lot. My dad had some private demons. He had an abusive past. He was abused by a man when he was a kid, and this troubled him throughout his life. It had a deep, profound impact on him and all of his relationships. It kept him from finding his ideal life path. During my childhood, my general feeling was the feeling of being alone. I grew up an only child. I felt helpless a lot because my mother and I were forced to play the victim role in order to be able to survive various forms of abuse. That would make me sad and depressed. Even though to the outside world, I looked like the perfect kid, I needed to learn to be a good actress because I had a lot of shame and pain that I felt I needed to hide growing up. Only one or two very close friends knew how I was feeling. I don’t even think I articulated to anyone what was going on because I felt so unsafe. Love Yourself: I needed to learn to be a good actress because I had a lot of shame and pain that I felt I needed to hide growing up. I did discover that when I could communicate artfully, which in the beginning was learning how to communicate in order to manipulate my first abuser, which was my father, if I could do that, I could avoid pain. I could get out of trouble. I could convince people to do things for me and sometimes even not do things to me. I was able to use my emotions and communication skills to keep me safer. Even though I didn’t feel safe, at least I became an actress to be able to protect myself. My parents eventually divorced for a number of reasons. In the ‘70s, it was very unheard of in the strict community that I grew up in America. I grew up in a very rural religious part of America. We all have dysfunction in our families and that doesn’t make me much different than other children all over the world. That’s my background without going into too deep detail. How would you say that these childhood experiences affected you later on in life? I continued to have my lessons with abuse. I was raped as a teenager. Actually, I was raped a few times in my life. That is horrible. I wouldn’t wish it on anyone. You can see in newspapers everywhere and all over the world that sexual harassment is a huge issue. When I was growing up in the 1960s and 1970s and I was working in the 1980s and 1990s, these things were not openly spoken about. When that happened to me, I realized I didn’t tell anyone for ten or fifteen years. I thought it was my fault. There are a lot of ways that I would not practice self-love on myself because of the things that continued to happen to me. Nearly everywhere I turned when I worked as a singer, dancer and actress, I continued to be faced with sexual harassment, infidelity, alcohol, drugs and abuse. 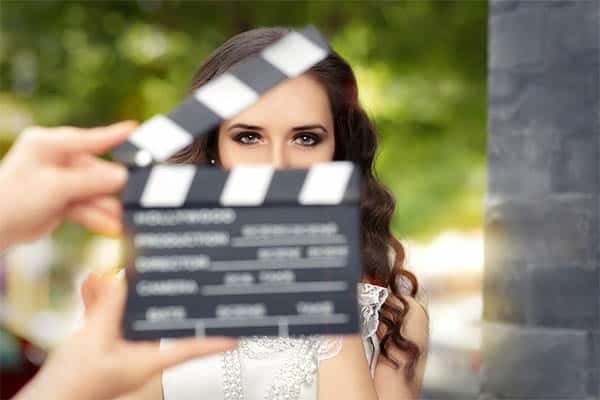 It became clear to me in my mid to late twenties that if I continue to participate in that lifestyle, which most people in the entertainment business were accustomed to, I could end up dead probably before turning 30. Sadly, the two biggest people I worked with ever in my career, Michael Jackson and Whitney Houston, both of them died of a drug overdose. Eventually, I did leave the entertainment business. It was heartbreaking for me to do it. I gave up everything that I’d work my whole life to achieve. I was an opening act. When you’re an opening act, this was in the 1980s, you have to work hard to get to that stage. The next step for an opening act is to become a headline yourself. I already had a record and all of these things, but I couldn’t continue. That decision saved my life. Despite personal setbacks, I was able to rely time and time again instinctively on my communication skills to escape greater harm and to also listen to my inner voice. Many people didn’t listen to their voice and say, “I could be dead if I continue down this path. I need to get out of this environment and I need to give myself a chance at a happy, healthy, productive life.” Even though I was extremely successful in the entertainment business, I was horribly unhappy. To me, there’s no point in life unless you’re at least moving in the direction of happiness. So you would agree that you were able to turn your pain into your power? Definitely, eventually. We all have to have the courage to go through it. In my experience, that wasn’t easy. I was able to take myself through my own journey up to a certain point. I had great music teachers and all of these other people as I was expressing myself when I was a kid and throughout college. I’ve been blessed to have amazing coaches, mentors in personal development, professional programs, and spiritual programs. Eventually, I developed my own method, which is what I call the Million Dollar Voice. That journey is my own journey to having power and freedom. That’s what I teach now. I have a podcast coming out and a book about to be released. Many times, our struggles are our gifts and that we are given these opportunities for growth. I know that’s a horrible phrase, “What doesn’t kill us makes us stronger.” I definitely know now that I’m on the other side. I’m past menopause already, so I’m in a season in my life where life is making sense more now. Now, I can see more, having 35 years away from the major abuse, even longer. I’ve been my own person much longer than I’ve had to endure what formulated who I am in my developmental years. I was able to talk a little bit more straight about it. I’m clear that – just like you – I can help a lot of people that are trauma survivors that have had all kinds of challenges to overcome them. Love Yourself: Many times, our struggles are our gifts. 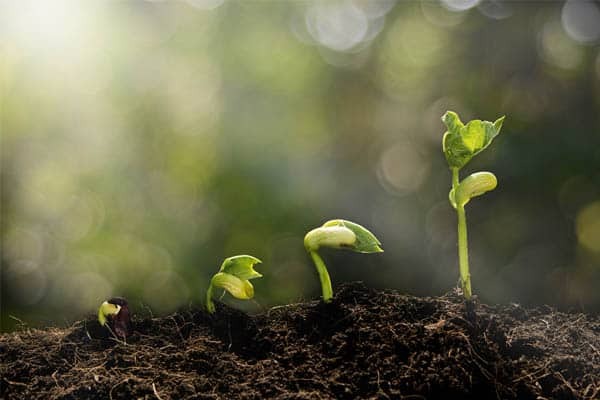 We are given these opportunities for growth. In your book, you also talked about that moment of a broken spirit. Many people remain broken forever or for a long time. What advice would you give to someone that is stuck in that loop? How did you break out of it and what were these variables for you? I’d say the end game is taking action but before that, there are some steps. The decision that I made when I was 33 was that I would never accept another abusive relationship again. That meant an abusive employer or romantic relationship. Even abusing myself, which we can do. Many times, we’re our worst critic, we’re beating ourselves up. We’re making ourselves wrong for the choices we make. We think we’re damaged and broken and we’re never going to be happy. I had a conversation with God where I first made a request that I would only be guided by empowering relationships. By the time I got to be 30, I knew that the only thing that was there, in all of my relationships in the equation that was consistent, was me. I had to look in the mirror. I knew that in my own power, even though I had great coaches and everything, I also had somebody who was deeply spiritual at that time that I was working with. I needed to return to that. I grew up in a very religious family, so I had quite a complicated relationship with God. I blamed God for a lot of things. It took me a long time to even be able to consider a conversation with a higher power. I wasn’t afraid of learning lessons. I made a very heartfelt, as humble as could be, prayer. I made a clear line and a stance saying, “These are my new boundaries for healthy relationships and I’m not crossing them.” It was also for a while to choose not to be in relationships. For a while, I made a commitment to myself to remain completely celibate until I felt I was ready for a committed relationship. That was hard for me but it was a gift to myself. I was really tested. It was starting with committing to myself first. I even bought myself a wedding ring. I felt for me I needed something to symbolically display that the most important relationship I was in was with myself. I made a commitment to marry myself. One of the good things was, during that period of celibacy, people stopped hitting on me a little bit less because I had a wedding ring on. I don’t remember how long I wore the ring for. It wasn’t a defining moment when I took it off. I did meet an amazing man, my soul mate when I was 38. We married when I was 40 and we had a child when I was 41. The best decision I ever made was to marry him. It’s important to love ourselves no matter what our circumstances are. It’s making that commitment to yourself first. If you are a parent, generally, you’re going to have to have your kids first. You have to have your health and wellbeing before anything because you can’t be anything for anyone without that. If I were to give one piece of final advice to people, I would say, “Take it one step at a time. Find the coaches and mentors who can hold your hand on that journey.” You’re with a great one right now, Aleah. I would have never been able to transform all my own. I still need help from experts. I always reach out to whoever I need for support whenever I’m facing an obstacle. I’m happy to help in any way that I can. Thank you so much for sharing your personal story and therewith inspiring so many on such a profound level. If my audience wants to work with you, where would they find you? Can you maybe talk a little bit about your upcoming projects? I’m in the process of wanting to give as much information away as possible, especially with women. I don’t want finance to be a barrier. I’m doing a podcast at MillionDollarVoicePodcast.com. You can Google me, Deborah Torres Patel. You can find DeborahTorresPatel.com. We’re going to be building a lot of things with a podcast. I’m going to be doing a ton of episodes. I’m going to be doing some Facebook Live where people can jump in and have a chance to win every week. When we launch the podcast in October, every week people are going to have an opportunity to win a free coaching session with me. There’s a grand prize on New Year’s Day, that’s a full VIP Day with me worth $10,000. They can reach out to me on LinkedIn or Twitter. So stay tuned! And stick close to Aleah, you definitely want to do that and if I can help you in any way, I’d be happy to. You’ll find me all over the place online. I can only confirm that I’ve been working with you and it’s been helpful for me too. Thank you so much. It’s been a very inspiring and thoughtful interview with you. I wish you all the best for your upcoming projects. Today, she’s the secret weapon, coach, and mentor behind many of the world’s best-selling authors, experts and leaders of Fortune 500 Companies. 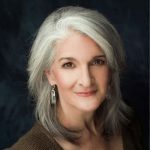 She designs and teaches predictable systems that ensure her clients communicate with world-class credibility and unshakeable confidence every time they speak. She’s had the privilege of working with hundreds of thousands of people in 80 countries on 6 continents as an International Voice, Presentation and Public Speaking Skills Expert. She’s been fortunate to share global speaking platforms with leaders like Kim Kiyosaki, Tony Robbins and Former British Prime Minister, Tony Blair. Her clients have been on all major international media and she’s personally been featured on CNBC and CNN television and in global publications like TIME and Forbes. In her entertainment career, she performed for millions on radio, animated film, TV, Broadway and on international live concert stages with celebrities like Whitney Houston and Michael Jackson. For decades, she’s shared and transferred these highly refined world-class communication skills to enable leaders to scale new heights, reach their peak potential and the pinnacle of their careers. Deborah is a Certified Speaking Professional (CSP). In May 2018, she became the first and only woman to be honored with the APSS Speaker Hall of Fame (HOF) Lifetime Achievement Award for speaking excellence and professionalism. I personally known Deborah and she is an amazing individual. I gone down her path in growing up in the same environment but at 17yrs old I knew what was best and I walked away from it all. I admired Deborah for her courage & accomplishments and have great respect for her. Wishing her many years of success and happiness, she is touching a subject that many of us reject because of being shameful. Love her and can’t wait to read her book.